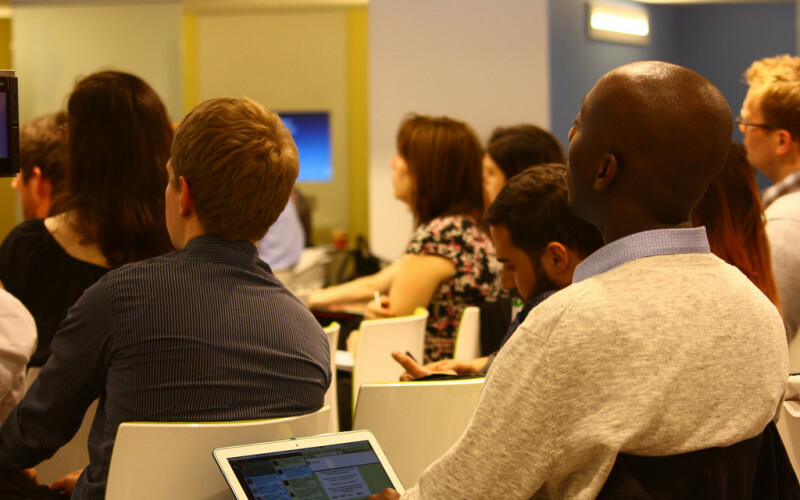 The top skill in 2013 was … social media marketing?! If you’re in the market for a new job, you might want to consider the tech sector. 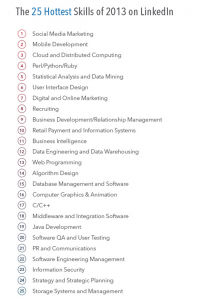 According to LinkedIn, the most desirable skills in 2013 were dominated by tech. This year put an increased emphasis on technical education that translated into the job market. Free open online courses, often called MOOCs, became extremely popular in 2013, and a significant number of those programs focus on technical skills including programming and Web development. Students were able to become self-taught experts in some of the most marketable skills, and, especially in technical fields,job opportunities stemmed from completion of online courses. A push to learn coding also put more attention on the importance of technical skills in the job market. Code.org, a non-profit organization led by some of the most prominent names in tech including Mark Zuckerberg and Bill Gates, launched the Hour of Code this month in an effort to get people across the country excited about programming. Headlining the movement is the projected billion-dollar job market built on computing jobs. Tech turns out it’s a pretty good job market to be in. If you’re thinking about a career in technology, you’ll be in good company. Tech jobs make up almost half of the best companies to work for, as many of tech’s most popular companies are truly changing human behavior, have enviable office cultures, and maintain high employee satisfaction. Not a bad gig. You might be scratching your head at what, exactly, social media marketing is. But it’s on the same list as recruiting, business development, and public relations—all essential functions of growing a company. The tech sector is booming, which means so are its support roles. In order for successful businesses to grow, they need cheerleaders in non-technical jobs to promote, pitch, market and expand the company. This encompasses more than just the technology industry. Companies large and small are trying to harness the power of social media to gain awareness for their brands and get their message in front of as many eyeballs as possible. While social media marketing might seem a bit shallow, there is no shortage of opportunity for people to start their careers on the strength of their Twitter accounts. If you don’t have the technical capabilities to build or code a product, chances are you can still work in the ever-growing tech sector by focusing on marketing and business development skills. It’s likely we’ll see this trend continue in 2014. If you’re looking to pick up a new skill or job in the New Year, tech might be a good place to start. 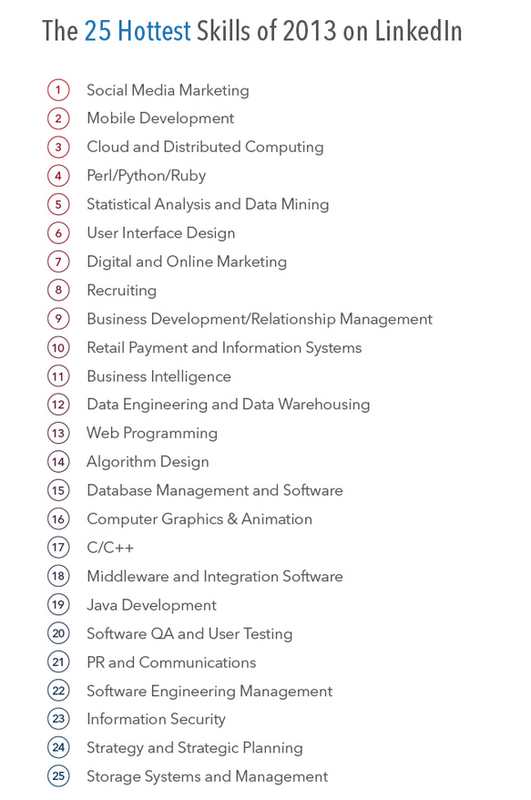 See the full list of LinkedIn’s most in-demand job skills of 2013 below.